Top side is superb Sun Rockabilly from Edwin. 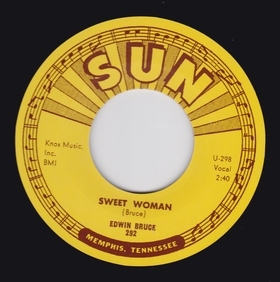 Billy Lee Riley really bending those strings on guitar as he leads the best of the Sun Studio band. Flip is nice country.